When we say lawn fertilization is a number one priority, we’re not kidding! 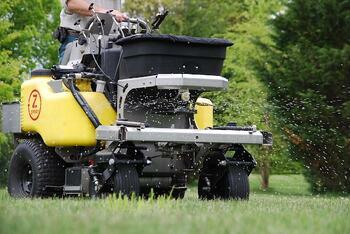 Fertilizing lawns is a critical measure to achieve healthy turfgrass. Adding valuable nutrients goes well beyond just improving color and thickening your lawn. A lawn with nutrient-rich soil will grow less weeds and can have less problems recovering from other environmental stresses. Nitrogen: Essential for optimum color and turf density. Phosphorus: Promotes root development for a resilient lawn. Potassium: Helps your lawn to resist drought and disease damage. Bio-Stimulants: These natural, organic materials help your lawn to sustain long-term health instead of just treating symptoms when they arise. As a professional lawn fertilizing company, we recommend fertilizing at least three-times (and ideally five times) per year – typically during the spring, summer and fall months. The number of fertilizer applications we recommend depend on the types of turfgrass in your lawn, and its overall condition. 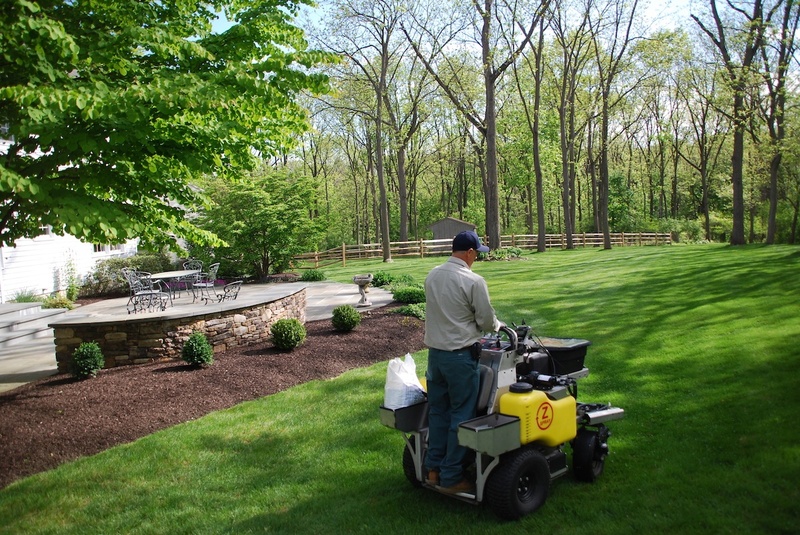 Lawn fertilizing companies in Allentown, Bethlehem, Easton, PA and surrounding areas often create programs that apply fertilizer to your lawn throughout the year, or perform these visits as a la carte treatments. However, not all companies or products are created equal. At Joshua Tree, we believe that in order to have our lawn fertilization services deliver the intended results, we have to find the best possible products and apply them in the best way. Each year we find the ideal granular fertilizer products and make the necessary calculations to make sure your lawn gets what it needs to be thick, green and healthy. Our highly-skilled and experienced lawn care technicians use calibrated ride-on equipment that applies an even application over your lawn. We diligently clean off walks and driveways and make sure no materials are being wasted and discarded into non-target areas. 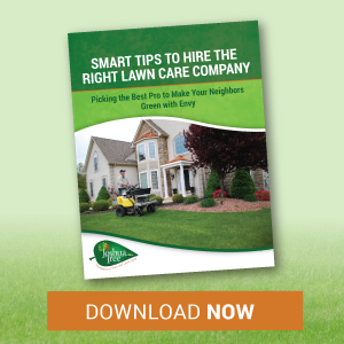 Find out more about our lawn care programs and lawn care pricing! Or for a free estimate, contact us and we’ll be happy to visit your home to figure out what’s best for you and your lawn.